Can you believe summer is almost done and fall is almost here? 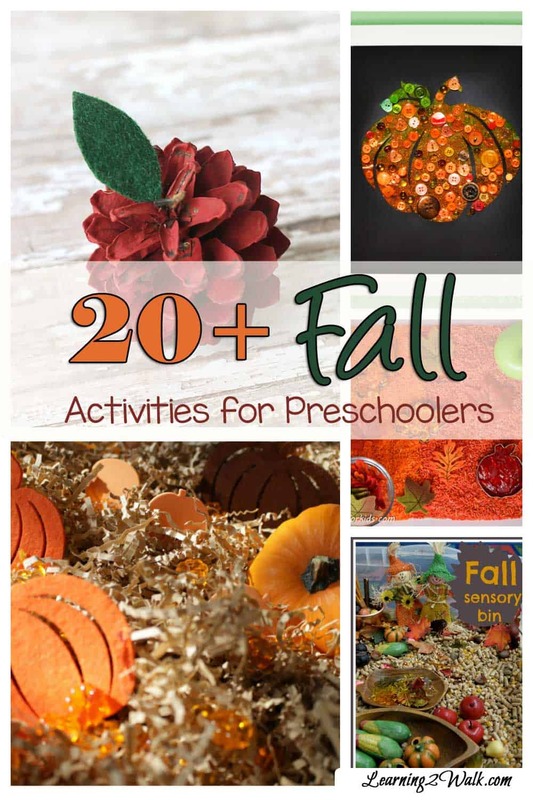 Last year I tried my best to do as many fall activities for preschoolers with my kids. This year I decided I will give you as many ideas as I could find and have you choose the ones you would love to do with your kids. What activities do you have planned for the fall? Let me know in the comments below and don’t forget to follow my Fall Pinterest Board for more Ideas. Follow Learning 2 Walk’s board Fall on Pinterest.